This is a bad update for DD Free dish Hindi viewers that popular general entertainment channels are not available on DD Free dish. As you know recently Supreme Court told TV channel owners to fix their channel price MRPs so now monthly budget increased for all Pay TV viewers including Cable TV and DTH platforms. For this reason, most of Cable TV operators and DTH operators had the concern that all PayTV viewers can shift to DD Free dish platform because basic entrainment channels were already available on DD Free dish. Due to this reason, all TV broadcasters decided to remove their popular channels from DD Free dish to force Pay TV viewers to continue on Cable TV, DTH, and IPTV platforms. In this regards, lots of free to air channels converted in to Pay TV channels. 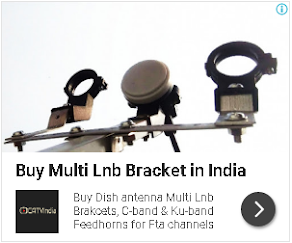 Although new free to air channels also get the entry in DD Free dish platform. But still, bad news for south India viewers that any south Indian channels didn’t get any slot on DD Free dish dth. Maybe they have not participated. hum dd free dish network se guzarish karty hai ke yah sabhi band channels ko chalo kiya jay. Very bad. Just like BSNL, DD free dish is also sinking. Is it a planned plot for pvt channels to boom. Govt should take proper initiative to check the moove from pvt channels and encourage broadcasters to be present on DD free dish platform. Very bad dissition ,apr.96% people in rural area is on free to air channel. Even I also using my one room with this but it's sad news for all of us..
Kiu kiye chanel removed.! Kiya wajha he ...plz add karo! Please add zee anmol.rishte. star utsav. Rehtey cineplex. star utsav movie. ze anmol movie. Garib ke pet pe kyon lat marte ho.main main channel to hata diya gya.kya dekhega Aap hi sochiye.Aagar Aap Garib rahte to kya hota Aur Aapke Sath hota. agar suprim court be order diya that to in se boltai free channel kyo hta diye,an ispr suprim court ko hi much orderlena padega tabhi much hoga, ya in channel PR ban lgna chahiye na hi free PR na hi paid PR dikhengai. Please add some Bengali channels. I will be very thankful to you for. Please add all 19 channels, yh channel remove krne ka decision sahi Ni h..